Vote for Vermillion please! Help me out, guys. Normally I’d write something a little more convincing, but I didn’t get much sleep last night, so I don’t really have much energy. I just thought it was really well written, and want to enjoy it together with you guys. That’s all, really. It might just be my tastes, but it really was very good. It wasn’t amazing, but it was unique and I loved it. The characters felt real enough, and actually changed and developed. The worldbuilding was detailed, and plentiful. The author clearly has an interest in the world outside of Japan, and it really shows in his writing. I don’t know. It just wasn’t something I was expecting to find on syosetu. 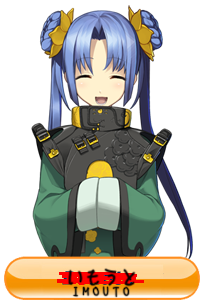 If it wasn’t for the fact that Mushoku Tensei was filled with tropes that I really enjoyed, I would probably have to vote Vermillion a little bit above it. I have to do this so you don’t abuse your power. It has ruined far too many good men. You don’t even know what you’ve done. My conscience is clear. I desire what I desire. Which is the second coming of Jesus Yamato. May he bring you salvation. The masses are all like you, so there was no deep meaning to the sigh. if you’re talking skythewood, it’s on hiatus since he has caught up to the Chinese raws. The other translator is…well..nah. Someone’s already translating it, you kind of wasted your vote there. Hey, Esteemed 5th Holy Sheeprabbit-sama, I voted Vermillion, it was in the lead last time I checked. At 16% Since the rules state that you can only vote once maybe I can get my sister to vote too. My friends aren’t into light novels.. but maybe they would do me a solid too. Haha, wow. Vermillion by the time the week is over, but it’s already amusing to me that a post from me shot it to 1st at one point. Thanks for the help. no, someone’s put the translations on hiatus because that person doesnt have the raws anymore. Don’t tell me the machine translator is doing it because the quality is too poor. If you have a website in mind that is actually legit with translations do inform me. If not, thanks for replying. I saw a few other interesting ones in the list but most of those are already being translated elsewhere. So I voted for the most interesting one, Vermillion. Quite a few series I would like done on that list. Really hard to pick which one. Fair enough. I found the former to be written like typical reincarnation garbage, and the latter was a bit melodramatic for me, but preferences are preferences. People basically read web novels for garbage anyway, and Vermillion is definitely not Murakami lol, so in the end it comes down to your taste in waifu and action I suppose. I wish they would pick some of the more interesting LNs though (as in, LN original with no web novel), and not, you know, web novels (although Vermillion is a web novel too). I really want to see some of those LNs translated. As in, the ones with no web novel, and were good enough to just be LNs. The only reason I’m not recommending them is because I’ve personally read Vermillion, and don’t know what any of the LNs are like. Believe it or not, I am the one who put Vermillion in that poll. Seriously. I know. I saw your comment. Thank you so much. You are welcome. And wow, I just checked the poll and Vermillion’s leading at 19-something percent. If this keeps up and Vermillion wins, you’ll owe me one. XD. There are five new projects starting and they will be chosen by the translators. Don’t stress too much on which comes in first place in the poll. The point is to make Vermilion visible to all five of them. I have to agree with you. I have nothing against Gate, but I rather something new, than having the 3rd medium of a series. As you command your holiness. I don’t even know most of the other choices anyways and Vermillion seems to be at least not featuring a harem. And it’s also on 2nd place already. The heroine really is quite lovable. One of the best waifus, honestly. Arhhh! I do want to read vermillion because of the English and the fact the author seems really interested in other parts of the world…but i want to choose kamisama no Inai nichiyoubi because the anime really hit my feels…and I want to read more of it…. I completely agree about the feels, but I think that for me, I’d rather watch Nichiyoubi on Blu-Ray, and get new material for reading. Vermilion looks like it’s amazing for new material. But, still, aren’t some LN that is in the poll breaking the rule? Is there an actual rule or is not stealing slow projects some kind of unspoken rule? Nope, but isn’t Arifureta translator is still quite active? In the post by nanodersu, there is an actual rule. (5) Do not suggest licensed projects or projects with active human translations that have completed more than 1 full volume. Light Novel versions of Web Novel series that are being translated do not count for this rule. We are not checking for this now, but when we tally votes and make our decision we will disqualify all series that violate this rule. We’re currently in second place, behind GATE, which has a current anime. Amazing job, everyone! Let’s keep it up! i really want Toaru Ossan but i saw that there’s little chance for it to win.. so i vote cermilion.. I was thinking about Happy Life but it didn’t look like it could win…so go Vermilion! Take down Gate! I wanted Kuro no Hiera Glaphicos then Isekai Meikyuu Saishinbu. The reviews for both are good and they dont have any translations. Vermillion is good too. My tertiary choice would be Kamisama no Inai Nichi. The anime was really good and the feels hit me like a truck. Yes! Vote for all LN! Say no to Knight’s and Magic! Sorry, had already voted for Ore ga Heroine o Tasukesugite Sekai ga Little Mokushiroku. The manga was really original setting wise and way to funny. I guess it isn’t likely to win though considering it only has one of thier most likely list, and has almost no votes. I agree, the first volume was really hilarious but I checked the later volumes and it becomes really repititive there so I wouldnt recommend it. +1 for it. Too many people adding LN that has been TLed by different group. Show some respects, guys. If by some chance they’re picking the TLed one….. I can imagine how much dramas will ensue. They directly stated in the rules that novels already TLed by other groups would not be picked, and several have already been marked “disqualified” on the poll, so I don’t think there’s anything to worry about. “active human translators”. Feels like they left themselves a lot of wriggle room. They could even steal Anri from the sheep-rabbit by that definition. If feel bad about it but i seriously wanted someone too go for Kenja no Deshi no Kenja…. this cult is too strong. . . Currently Vermillion is at the top with 18.5% with second place at 14%, kinds getting there? You’ve convinced me Sheep-rabbit! It was hard to choose and there were a ton of really good looking series, but none of them had the Sheep-rabit seal of approval except Vermillion! And I’ve yet to be lead astray by Est. Hahaha and I found it hilarious that even a popular series like GATE was soundly overtaken thanks to Sheep-rabbit’s call to arms. Keep in mind though, that these 5 translators will be choosing their own projects in the end. The poll is only for visibility. Time for a victorious cheer or something cause Vermillion’s got it! There were a lot of titles on that list…some ive never even heard about. Even Guin Saga! Which is prob the most massive out of all the titles on the list. Voted for Vermillion tho i wanted to vote for Gate. So, just to mention guys, I appreciate the enthusiasm but this poll was supposed to be the pure unadulterated opinions of the reader base, without influence from anyone else. We’ll still keep Vermillion in the poll and you can still vote on it how you wish, but we will have to include a note when reporting final poll results to the translators that the strong majority of votes for Vermillion came from one thread on an external site. To be fair, I did do a teaser and review and everything, so it’s not like all of them are just choosing blindly. But in the end, getting everybody here to vote for it was just for visibility. If your NDA Students aren’t interested after seeing the review, synopsis and teaser I did, then it wouldn’t be a good idea to pick it up anyway, no matter how popular or unpopular it might be. Plus, if your NDA Students aren’t interested in it after having a look at the teaser, then I’ll just do it myself I suppose. Albeit incredibly slowly. Could you send us raws? I’ve only read the web novel, sorry. By the time I got interested in it, volume 1 was out of print. EDIT: Ah, and the story only really begins at chapter 5, which is why I picked it for my teaser. Thanks. I mean, you’ve certainly managed to get the project noticed, which I suppose was your original goal. We’ll look into it. Um, and you should also take into account that this guy also started doing the same thing as me, of his own accord. I don’t talk to him, so not all the spammers are entirely my fault. Toward the victory my fellow otaku companions !!! Why am I getting the feeling that Vermillion is going to get disqualified for Sheeprabbit using his personal army of 1.2k to vote for it? I mean I’d love to see it get steady translation but I just have a feeling in the pit of my stomach. To begin with, they’re just using the poll to see which they should check out. In the end they’re picking up whatever interests them. Before I created this post, Vermillion was at the bottom with 0.4%, so they would probably have overlooked it. Now they’ll at least see what it’s all about… probably. Onii-chan is thinking something like : keikaku dori (as planned) while smiling obscenely. Vermillion seems to be at first place still, with 21% of the votes. I think. Can’t use that link above for some reason, I got 404. But I voted for vermillion already, so whatever. Everyone I’m following seems to be telling me to vote Vermillion. from 0.42% of about 1400 votes, to 21.62% of about 2500 votes. meaning half of roughly 1100 new votes since you posted came from here. scary. Anri Cultists OP. As the (self-proclaimed) Pope, I must say, I’m surprised by the vigour of our members. I decided to trust your tastes and vote for Vermilion; I like almost all of the stories you translate after all. I saw quite a few series on that list that were already being translated, if I recall correctly. But maybe they’ve been dropped since I last checked. I already voted it the moment i see it…. I really wanna know what happened to the Russian Loli, damn i hope shes alright….. I only cared about two of the series there, Vermillion and Gate. I’m hoping that since you picked Evil God yourself that you have good taste. Good taste in reading is almost impossible to find. I was going to pick Gate, but the mangas far enough along that I’m almost losing interest. Monthly releases are hard on the reader…. Everything else just looked … Ew! No worries. We got more than enough votes. How could you only translate a teaser chapter with such a excruciating cliffhanger? That’s cold man. Cold. Now I HAVE to vote for Vermillion. Damn, there was so much good stuff I wanted to vote for. If it wasn’t because I still have some faith in the translator I would have voted for Kaettekite mo fantasy in a heartbeat. I’ve been interested in reading Tsurugi no Joou to Rakuin no Ko for some time. I know I would seriously get some kicks out of reading Noucome. I like Kenshi no Keishousha. Jinrui wa Suitai Shimashita looked just nice for a half serious read. Honestly I couldn’t choose, but then I read someone say “russian loli”, and also instantly remembered that Vermillion is supposed to have good world building and pacing, withouth mentioning that Sheeprabbit = certified good taste. I’m expecting an atmosphere like the New Gate, but better, with a good waifu and proper waifu moments. Also, I swear your influence is too big. You’re like Katarina or Anri in that you say something carefreely and your followers go on a holy crusade to make it happen because to them your word is law. And mn, arguably the pacing is a bit… slow? At least, that’s what you’d expect, given that it’s a web novel, but in terms of character development, I basically felt the pacing was perfect. Well, when you have to start a teaser at chapter 5, you know that it doesn’t exactly jump straight into the main stuff. On the other hand, the fact that it doesn’t throw all the details of the characters in your face just makes it read that much better. If they up and told me directly about Russian girl’s background in chapter 5 or something, I wouldn’t have been half as interested in her. And at least for me, knowing +- 90% of the proposals, I still found Vermillion more interesting, it gives a contemporary almost adultish feel in the isekai genre (which is greatly lacking). If not then just go for Guin, although it’s long as hell and unfinished. On the same line, I’d like to recommend reading on larvyde’s page Genjitsushugisha no Oukokukaizouki. There’s 5 chaps translated, I started reading a little ahead with google trans but the story’s really good so I dropped mangling it and I’m waiting for the translation for some good reading. P.S. ND staff, my vote was not forced in any kind of way, it just honestly expressed my OWN choice after seeing the poll. What??? https://nanodesutranslations.wordpress.com/2015/09/11/nd-academy-project-poll-five-new-projects-will-be-chosen/ i think vermillion lose to GATE did they re-vote it?